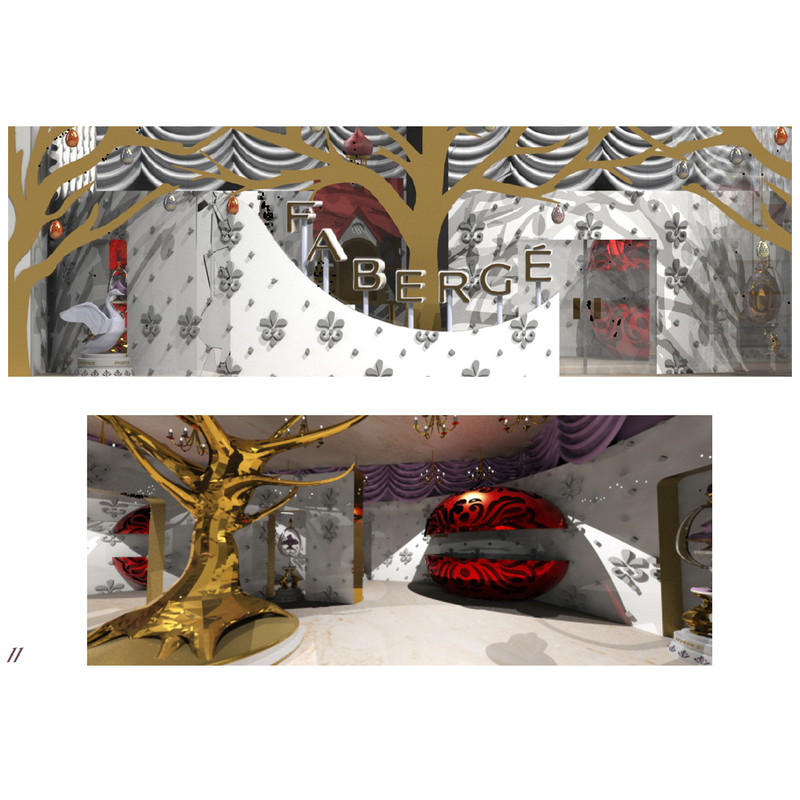 The task was to create a retail space for the Faberge jewellery brand. 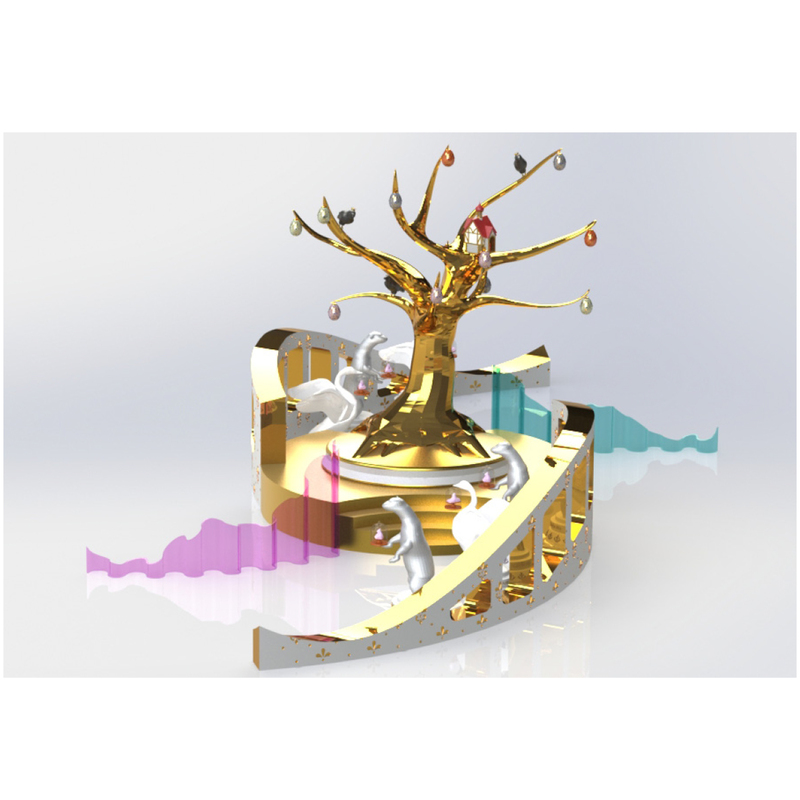 A exhibition piece, to act as a crowd attraction piece in the middle of a mall walk way. 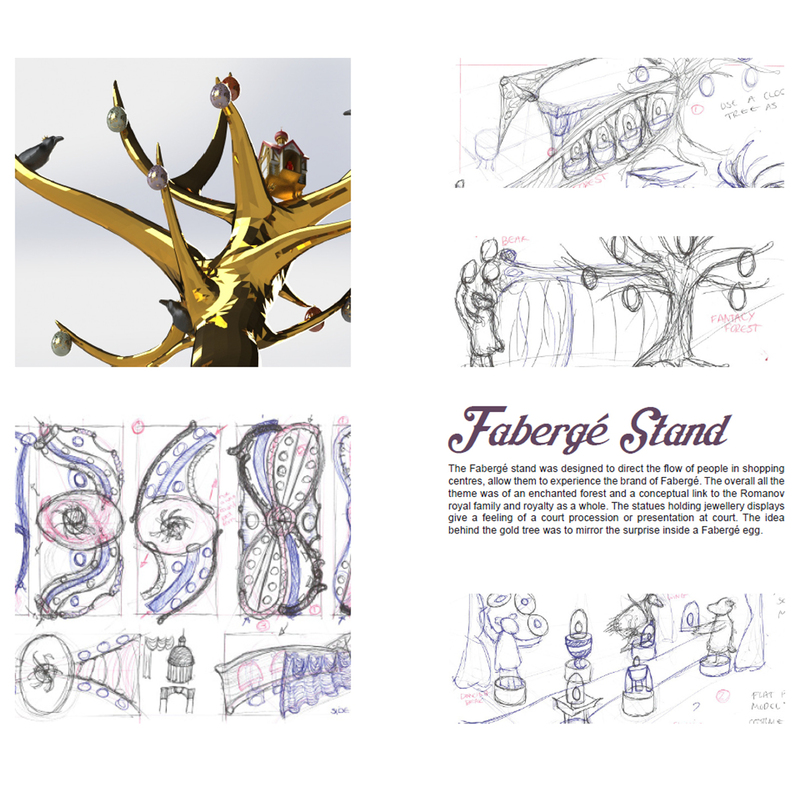 The exhibition stand or display stand was created to direct the flow of people so they could experience the brand. 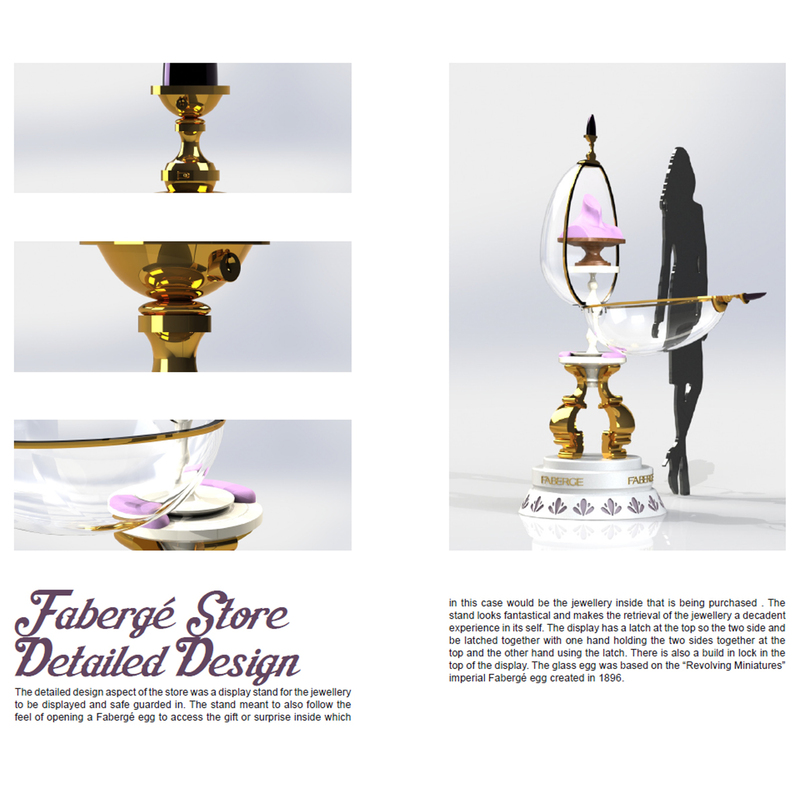 The Faberge store was designed to mirror the same principals of a imperial Faberge egg. 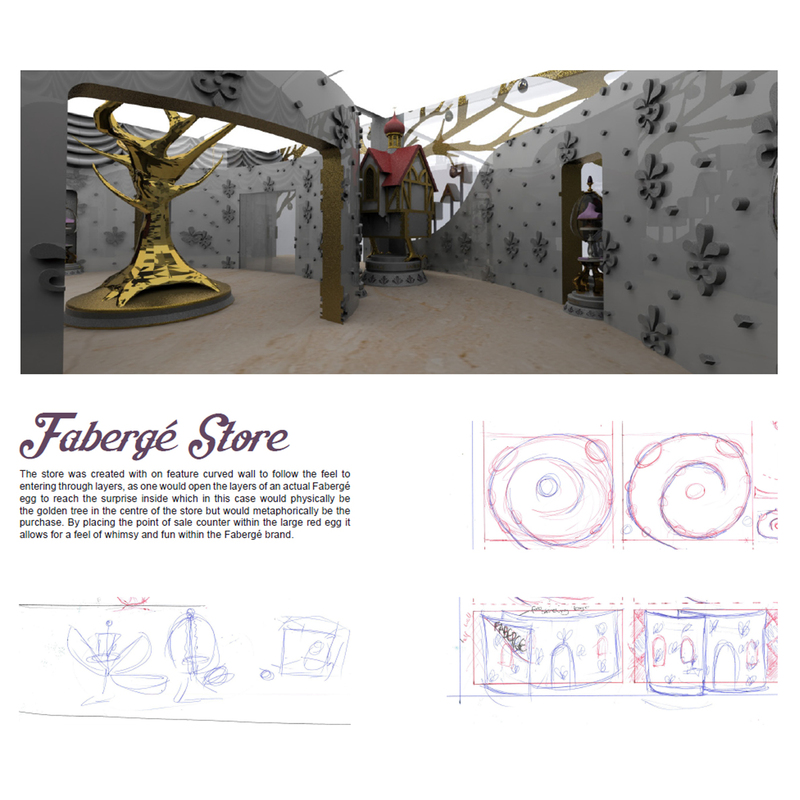 The display stand was created to be in display piece the store. The display stand was created so that opening it was meant to be and experience of wonder.